The HG Target is manufactured by Guns and Rosa’s Targets, especially for Laser Ammo. The target is 100% green and one of the highest quality targets on the market. The target is water resistant, durable, and highly visible. This target was designed especially for all of your dry fire needs. 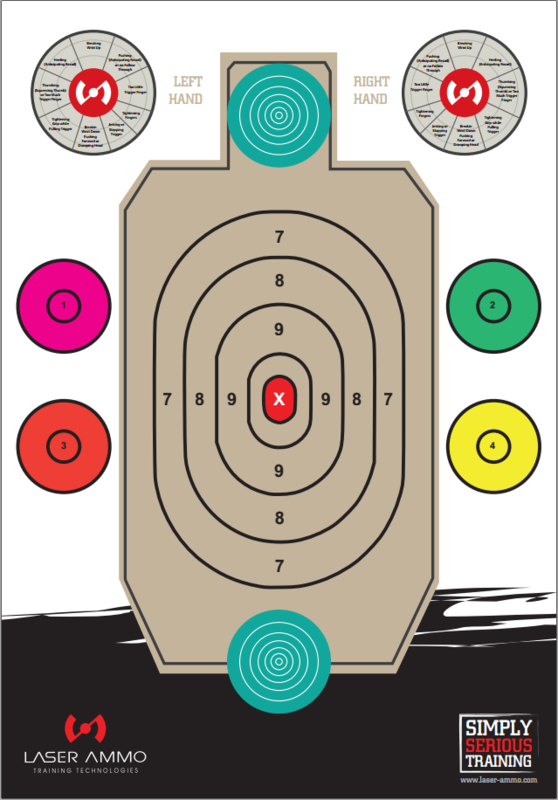 IPSC shooters will feel at home with this target, bull’s-eye shooters will find 4 different zones at 2.5 x 2.5 inches. At 16 x 23 inches it is a perfect size for anyone to train at home. Train with your SureStrike and see where you hit, use the right & left correction targets to learn how to correct shooting errors. 100% made in the USA by Guns and Rosa's Targets. 100% green, made from recyclable materials.